I have the opportunity to review this unique Floor Lamp from Brightech. The shipment is great, the product is in good shape as well as the way the manufacturer packed it. Secure and totally sealed. Though the whole box was heavy, but it was truly opposite when you finally install the whole floor lamp. The product is indeed very heavy when I first carry it from our doorstep to our living room. So be very careful. The product is sealed and wrapped in a great condition when I opened it. Very happy there. Each part was wrapped in a plastic and all are intact in a Styrofoam. All parts are complete. The manual is very direct and very easy to understand. Though it contains the assembly instructions, operating instructions, cleaning and storage as well as the warranty info. I don't see any cautions information in the one bond paper that it has. Though, on the bottom part of the sheet it mentioned and they provided an email in which were to be contacted for inquiry. Easy to assembly, parts are quite lightweight indeed, except for the base that's where all the heavy stuff is. 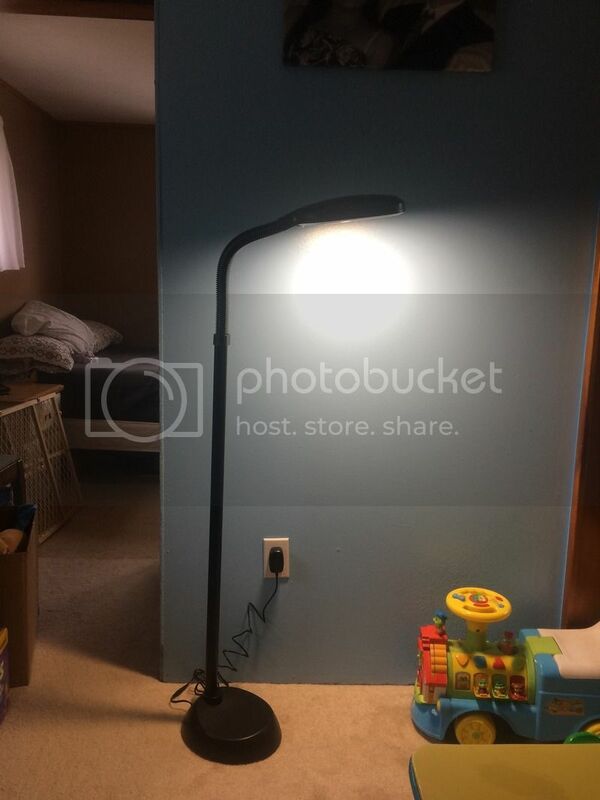 The flex pole is bendable that's one great thing and the lamp is just about right. I expect small but this lamp head is what you need to have. The LED light is very bright too. I like how you can turn on and off the lamp and the switch is visible because even when it's dark it has a light where you can see where to push it. I also like how spacious and slim this floor lamp is. It doesn't take too much space and fits in the area where doesn't have enough space. You can purchase the Litespan LED Reading Floor Lamp - Soft White Light Editon - Neutrual White Light Color - Built-in Dimmer - Adjustable Head Pivots in Any Direction - Energy Saving 12 Watts - Black Color [it comes with white and black color] through Amazon. I would say spending that much for a floor lamp is quite expensive, well for me but it’s worth it. I love the floor lamp and its very handy for me to carry anywhere in the house. It's the perfect light for reading and for studying! I think this will be useful for the kids. That's an awesome deal, thanks! I love low lighting fixtures specially at night when I am ready to relax with a good book. Thanks for the review. I think the price is reasonable enough. I need some of these for our new house especially in the living room. I'll check them out.